This is a special mashup episode recorded in Auckland, New Zealand. Craig catches up with Mark Derricut from the Illegal Argument podcast and Craig Aspinall from the Coding By Numbers podcast. 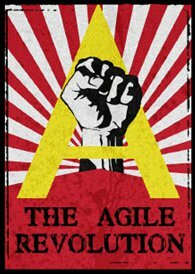 Not your usual Agile podcast, the discussion starts around the definition of Agile (“crash often, crash regulary”) and trying to define quality and ends up in a chat about wicked problems, devops and software development skillsets.